April Fools’ Day is less than two weeks away, and you know what that means: Pranks galore. You might have some epic tricks up your sleeve when the holiday comes around on April 1st, but that’s not to say that you shouldn’t also be looking over your shoulder once the day comes around. 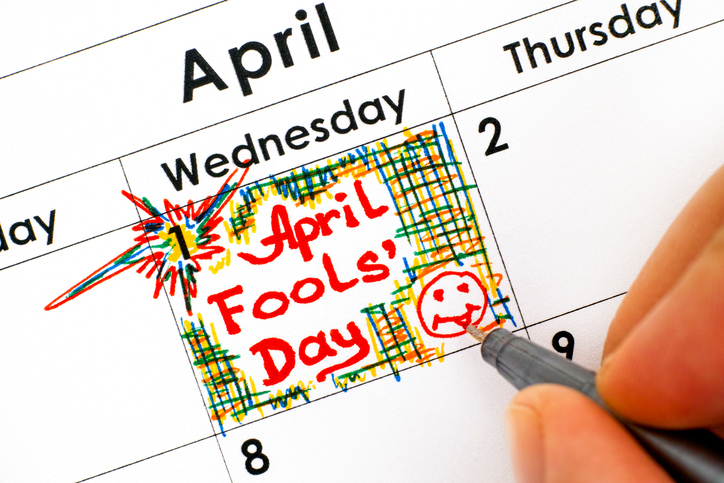 Either way it goes, have you ever thought about the origin of April Fools’ Day? There are a few different theories out there regarding why Americans choose to harass each other with merciless jokes and pranks once every year. Some of it all dates back to the 16th century. Back in the day, Christians used the Julian calendar, named after Julius Caesar. With the Julian calendar, every new year began on March 25th. But according to Snopes, the New Year was usually celebrated on April 1st because March 25th fell during Holy Week. Some time later, the Western world switched over to the Gregorian calendar, and as a result, the date of the New Year was moved up to January 1st. So legend has it that anyone who could be tricked into believing that the New Year was to still be celebrated on the former date would be named an April Fool. Some have also credited Geoffrey Chaucer’s The Canterbury Tales for the holiday’s creation. Apparently, there’s a line in the 1392 novel that mentions the date “32 March” — which, as you hopefully already know by now, is not a real date. According to Time, the line’s misprint is thought to be a joke by many. Then there are others who believe that April Fools’ Day is linked to the Spring Equinox. Since the first day of spring falls on March 20th, many people believe that the holiday is Mother Nature’s way of pranking us with unpredictable weather patterns. Whatever theory you agree with, it’s hard to say no to spending a day embracing your inner child.